Katha Dance Theatre is a dance company and school run by some of the country’s finest Kathak artists. 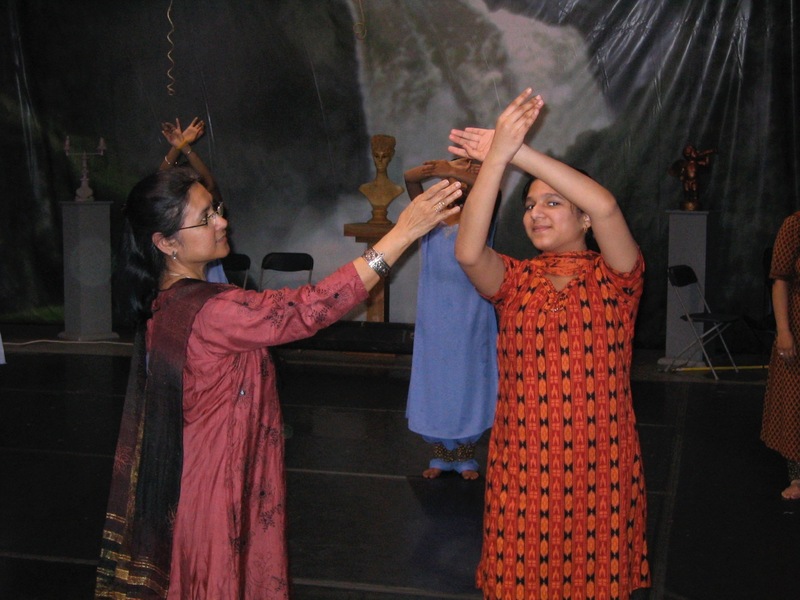 Our instructors are passionate about Kathak tradition and have worked hard to reach their level of expertise, practicing daily in order to develop their skills. But apart from regular practice, what does it take to make a dancer? In our dancers’ experience, learning from inspiring teachers plays a huge role in helping artists achieve their professional goals. In our series Spotlight on the Teacher, we’re checking in with our talented dance teachers – learning about their origins, the development of their teaching style, their goals for their students, and more – in order to better understand their individual approaches to teaching, dancing, and practicing their art. This month, our spotlight shines on KDT founder, instructor, and artistic director Rita Mustaphi. What’s your dance background, both in terms of your training and your professional experience? Dance came to me through a health issue that I had in my childhood. I was diagnosed with rickets – that is, a softening and weakening of the bones – and one of the treatments that the pediatrician recommended was exercise. My father noticed that I naturally move in front of mirrors, and he appointed a dance teacher to come to our home three days a week and teach me to dance. 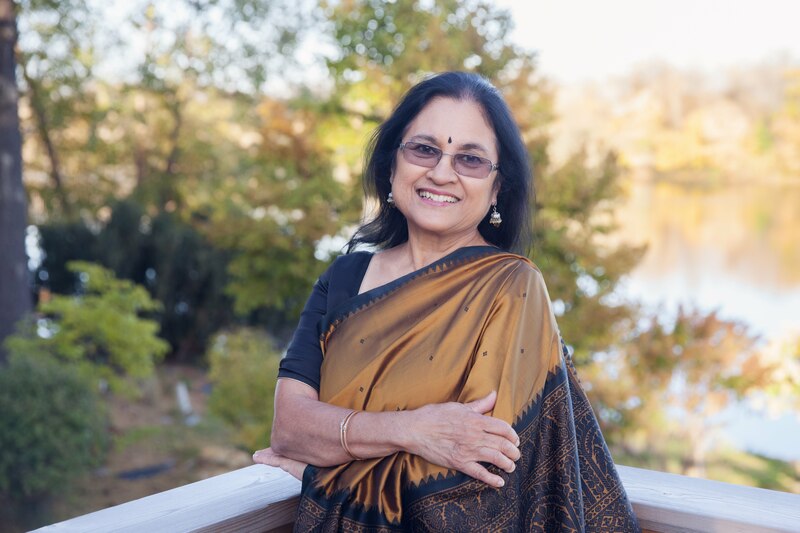 I was constantly prancing around the house, the garden, and the park, which inspired my father to enroll me in a formal dance school, the Institute of Indian Dance and Culture. Once I graduated from there, my natural progression was to move up to Rabindra Bharati University of Performing Arts in Kolkata for advanced training. My first year there, I was introduced to four kinds of Indian classical dance styles – namely, Bharatanatyam, Kathak, Kathakali and Manipuri. My natural affiliation was with Kathak, so I chose to follow that style. Eventually, I graduated with distinction in Kathak! But that did not stop my aspiration to learn more. My love of Kathak inspired me to join Padatik Dance Center in Kolkata and learn Kathak from Pandit Vijai Shankar, a disciple of Pandit Birju Maharaj, the legendary guru of Kathak dance. I had seen Maharaj-ji perform Kathak and was mesmerized, but never had the opportunity to learn from him until that time. I later moved to the U.S., eventually establishing Katha Dance Theatre in 1987. In 1988, I had the opportunity to bring the king of Kathak himself, Padma Vibhushan Pandit Birju Maharaj, to Minnesota! Impressed by my skill as a dancer, he extended his trip and asked me to study with him at Kathak Kendra in New Delhi. I made several long trips to Delhi, India for that reason. I also feel very fortunate to be associated with Pandit Birju Maharaj, who not only taught me Kathak, but also inspired me to create dance of my own. Now, I am a choreographer, dancer and educator who has been creating professional work, performing, touring, teaching and conducting outreach activities for 32 years. Who and/or what have been your biggest inspirations as a teacher? Being around young people inspires me the most! I look at teaching as a kind of performing, but better! Students are your audience that can learn from, interact with, and observe you for an extended period of time. My reward is when I watch a student’s progression from learning in childhood to teaching at KDT’s School! Teaching is a practice of bonding with people of any age and it has been crucial to deepening my ability to bond with KDT teachers, performers, KDT school parents, audience members, fellow artists and more. What a gift it is to share what I know with others! Since I am the founder and artistic director of Katha Dance Theatre and School, I set the standard for its school, company, tour and outreach programs. All teachers follow the same syllabus that I learned from Guru Pandit Birju Maharaj. What do you hope your students take away from your class? A feeling of joy and exhilaration in finding new ways to approach their movement. I also hope they take away a bit more knowledge and appreciation of Asian Indian art and culture, a passion for dance, and acknowledgement of the commitment it takes to learn. Do you have any key phrases or expressions you often use in your classes? A good dancer needs to provoke audience sentiment by following the essence of this verse. I feel it not only applies to dance, but also to every action in our daily lives. It means that if our hearts are present where our heads and hands are working, the outcome is outstanding. What do you love most about teaching? And what’s the hardest part about your job? I love to have students who are focused and hard-working in class; absorbing the information and participating in the process. The look of enlightenment on the face of a student who tries what you suggest and finds success is wonderful. To me, this is what teaching is all about. Teaching is hardest when you have a dancer disrupting class with talkative, uncooperative and disrespectful behavior day after day. Initially, I take this as a challenge and try to improve that student’s behavior in several different ways, but if I’m unsuccessful, I inform their guardian/s to rectify the issue and possibly even choose another activity for them. What advice do you have for other dance teachers who wish to make an impression on their students? Try to approach your class with the knowledge that students are coming from all walks of life, and try to find the right approach for everyone. Remember that sometimes what works for one student may not work for another, even though the end goal is the same.